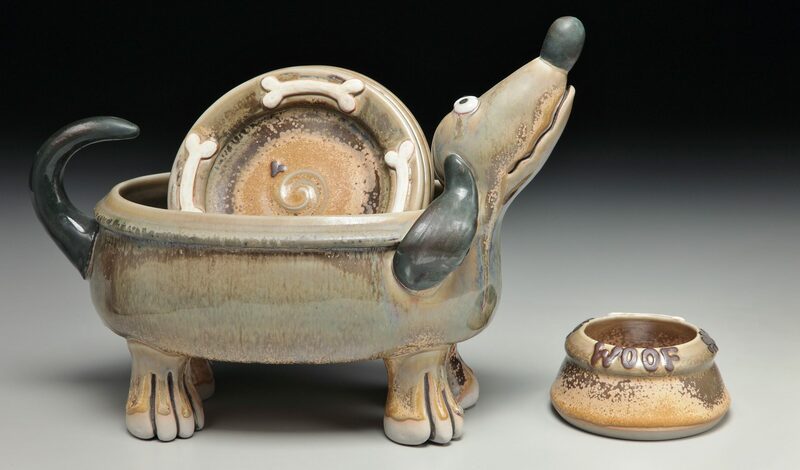 I use a clay body that is listed as a high temp white stoneware, but it looks and behaves like a porcelain clay body, and I love the way my glazes look so much brighter and full of life on it. My husband and I built a 50 cubic foot gas reduction kiln and I fire approximately 4 times a year. My work is made with both art and function as the driving force. Work that you can use with food preparation and presentation appeal. Art for living. My handmade makes your homemade taste better. ( see Pots Available page for more info on care and use). Thrown, carved, manipulated, extruded, slab, cut, squished, stamped, and whatever it takes to make it fit the vision that one does not have to take the FUN out of “FUNction.” My work comes alive with a sassy attitude and plenty of pizzazz to charm and warm your heart and food both. I know you will be blessed living with and using this work created in a happy studio just for YOU.